Protective bags for storing and transporting wheels. Protect the bike and wheels from each other whilst in transit. Keep all road and trail dirt contained to protect car and home interior. It is possible the wheels will fit but unless we had them in hand to test I could not confirm this. Does it hold MTB downhill 27.5 inch wheel with tyres fitted? 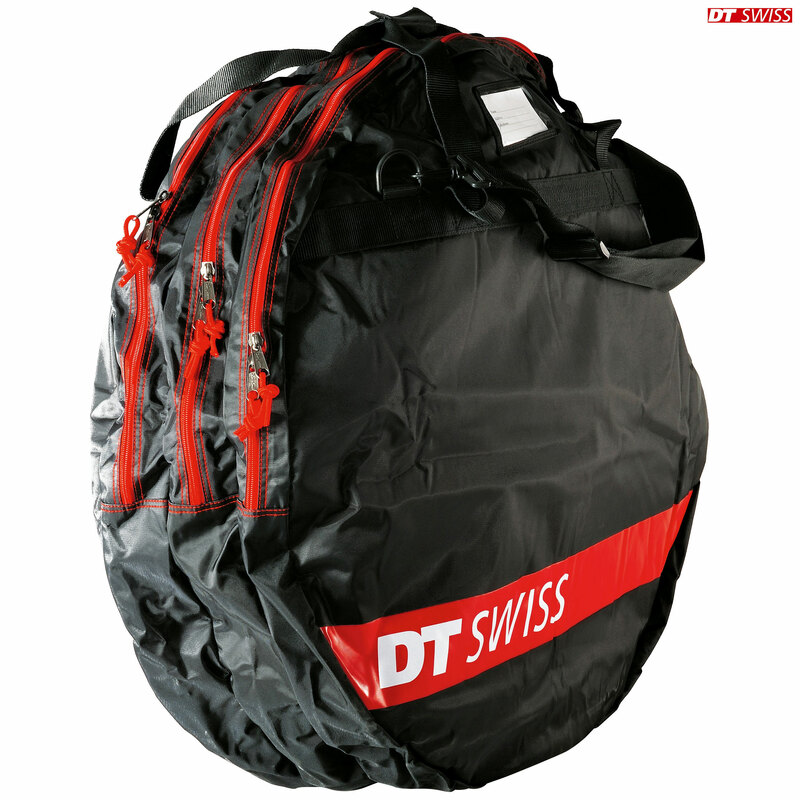 we already have older design DT swiss triple for the 26" but we cannot tell if this is just a logo change or a different bag size. The bag that is pictured is actually an even older design, the bags we have in stock are the current design with the single red strip across the bottom. I'm assuming this is the same as what you already have and after checking I can confirm that it will not fit a 27.5" wheel with a tyre fitted.